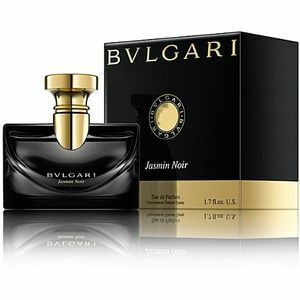 Bvlgari Jasmin Noir is designed for women who like a nice, warm & sweet fragrance. Bvlgari Jasmin Noir EDP 2008 100 ml. As it turns out, Jasmin Noir is not a big, dark jasmine anyway, or at least, maybe it isn't. The opening is citrus-y green and rather sweet (think syrupy sap rather than bitter). There is a flash of gardenia in the early stages, almost but not quite heady, but it doesn't linger long. Bvlgari Jasmin Noir is a captivating fragrance that envelops you in its mysterious scents of jasmine. A perfect scent for those who want to inspire those around a mysterious and fragile. Women's fragrance from Bvlgari Jasmin Noir is designed for women who like a nice, warm and sweet fragrance. Snow white and delicate little flower in the dark releasing warm and sensual tones, in order to reveal their mesmerizing and mysterious soul. Jasmin Noir is an original interpretation of this duality, transforming a rare and mysterious flower in metaphors. Jasmin. As subtle nuances of jasmine petals contrast with the overall intensity of the flower, the woman for whom it is intended Jasmin Noir, reveals a soft and seductive at the same time the soul. Fragrance Jasmin Noir is the most precious secret: open it live, fresh notes, which are developing into pleasing warmth to reveal fascinating personality. Bvlgari Jasmin Noir - Eau special from the fashion house Bvlgari. Sometimes I think that is almost Gothic name really is shrouded in mystery and it generates around flavor. Get at least how rapidly this perfume got its popularity and entered the classroom as one of a list of the most prestigious Italian women's fragrances.